Do you enjoy changing things up every so often? This Thanksgiving Holiday, how about spicing up your Thanksgiving menu and delighting your family with both traditional and non-traditional cuisine? During the Holidays, I love to experiment with different recipes and this year is no exception. 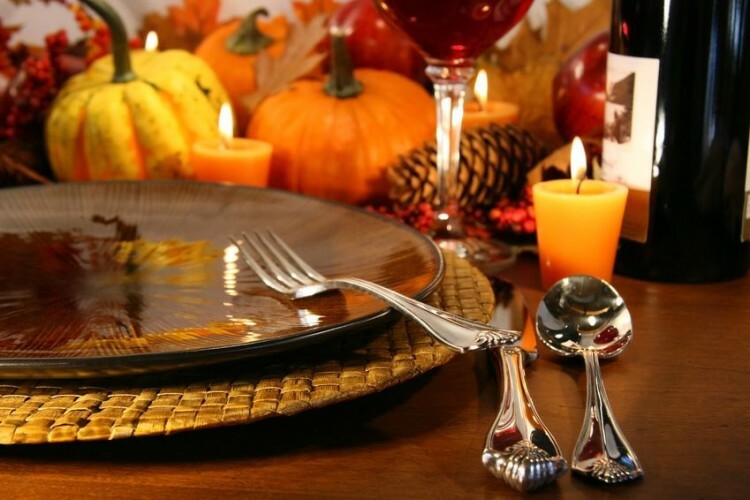 In addition to the traditional Thanksgiving dishes (turkey, stuffing, gravy, sweet potato, mashed potatoes, pie, etc. ), I typically include 2 to 3 recipes that I’ve collected and saved throughout the year. In lieu of Quotable Mondays and as a token of my gratitude to you for visiting and following my blog throughout the year, I thought it was only fitting to share 8 of my favorite Thanksgiving recipes and menu ideas. Some are tried and true while others are recent discoveries that I’m eager to try out this Thanksgiving Holiday! I hope that these recipes will be helpful to you as you create your Thanksgiving menu and surprise and delight your family as much as they do mine. I love this appetizer because it’s not only a hit with adults, but also with kids too! Please see the recipe for the Kalua Crostini below. We know it’s Winter but liquor flavored ice cream paired with warm pie (my favorite way to have it) is just too delightful to pass up! Preheat oven to 400 degrees. Slice baguette, arrange slices on oven rack, and toast 2 to 3 minutes per side, just until golden brown. Rub one side of each toasted baguette slice with sliced garlic. Place shredded kalua in microwave-safe dish with shallots and onions. Microwave on medium heat for 3 minutes. Stir grated cheese. Place oven on broil. Top baguette slices with a little shredded cabbage and a mound of kalua pork mixture, then garnish with green onions. Broil briefly. Serve piping hot. Since I like spicy food, I typically garnish with a little Siracha sauce as well. Bon appetite! Hope you have a most wonderful Thanksgiving Holiday and weekend! Any Thanksgiving recipes to share?